Here follows my interview with playwright and director Jaime Robledo, his AD Monica Greene and his composer, Ryan Johnson, for Watson and the Dark Art of Harry Houdini. READ my interview & article on the LA STAGE TIMES site. You can just read it here! Didn’t get enough of Watson at Sacred Fools Theater in late 2010, or when it returned in the summer of 2011? Don’t worry — the saga continues. Writer/director Jaime Robledo’s sequel Watson and the Dark Art of Harry Houdini, reportedly darker and more personal, opens tonight. 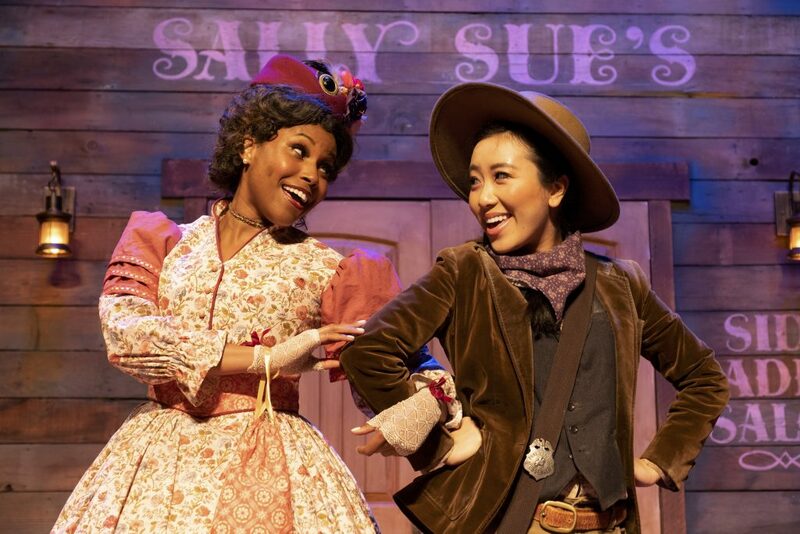 Like the original, the sequel is at Sacred Fools, which operates out of a black box theater space, seating 74 to 88, near Los Angeles City College. The company’s shoestring budgets and the lack of a fly tower for elaborate scenery forces writers and directors to come up with creative staging solutions. These limitations helped craft the innovative style of the Watson series. 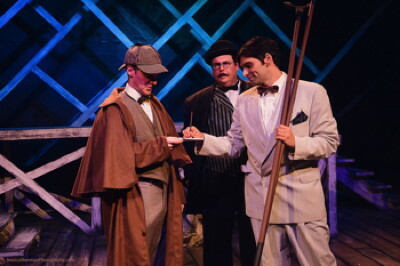 An early version of the first play, which is officially known by its complete title — Watson: The Last Great Tale of the Legendary Sherlock Holmes — was developed during the company’s late-night Serial Killers season in 2009. Serial Killers is an intense, hothouse environment in which the writers are given a mere six days to write, cast, rehearse and tech each new chapter in their saga. Audience voting determines which shows return the following week. Lasting 21 weeks, Watson proved a fan favorite and went on to gain a full production in 2010, followed by the second run in 2011. It was the first full-length play that Robledo both wrote and directed, and he won an LA Weekly award for his staging. 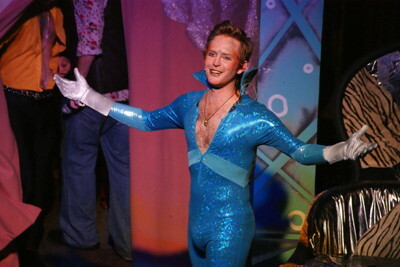 One of the actors, Henry Dittman, won an Ovation for it. Critics were encouraging. Robledo, whose directing career has blossomed since the first Watson, will graduate to LA’s big leagues next fall, when he is slated to stage another of his Sacred Fools-originated projects, Stoneface, at Pasadena Playhouse. 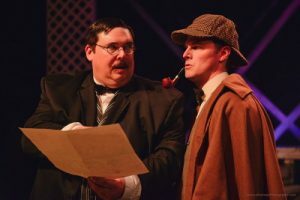 The first Watson, which starred Scott Leggett as the benign Dr. John H. Watson and Joe Fria as a manic Sherlock Holmes, has since been published and is now being produced elsewhere. In fact, this new show will be running concurrently with a production of the original Watson, opening next week at the Gretna Theatre in Mt. Gretna, PA. Many of the key players are returning to their roles for this next installment, including Leggett and Fria, while Graham Skipper replaces French Stewart as Sigmund Freud. One of the newest characters is, of course, the enigmatic illusionist Harry Houdini, portrayed by Donal Thoms-Cappello. London’s most acclaimed detective Sherlock Holmes and his trusty aide Dr. Watson combine their sleuthing talents to uncover a brutal killer. Their hunt takes them to New York where their path crosses that of the legendary and mysterious escape artist mysterious Harry Houdini. Can the elusive magician help or hinder their quest? While Monica Greene is once again his assistant director, Robledo has assembled a new creative team for this production. As the writer/director explains, “Our previous costumer moved to Oklahoma and our previous set designer was not available for this production.” Robledo did, however, retain the services of Ryan Johnson, who has composed the music for both shows. Their collaboration came about in mid-2010, when Johnson served as musical director for Sacred Fools’ production of Richard Elfman’s musical Forbidden Zone: Live In The 6th Dimension — a zany show in which Robledo had a small performing role as a tap-dancing frog. For the first play, Robledo’s musical brief for Johnson was to create a composition for a string quartet — something he had never written. “I pulled every favor I could,” he recalls, assembling Cathy Allen on cello, John Schimm on viola and Dan Graziani on violin (playing both violin parts). “Stylistically, the music was reminiscent of the Victorian era, but Jaime had been using some Philip Glass for writing inspiration.” What the pair dreamed up was a combination of those two influences, with some Indiana Jones-style action adventure scoring thrown in for good measure. On encapsulating the characters with distinct music, Johnson explains, “Watson’s wife Mary has a particular theme, which was one of my favorite things that I put together for the last show.” He recalls it was a sweet and somber theme that took inspiration from Elgar. “I remember thinking, ‘Ah, I did something right!’” he says, self-deprecatingly. In developing her theme, the composer built more orchestration around it and shifted it to a minor key for some of the murkier and more reflective moments. Familiar faces and new cast members. Aaron Mendelson and Perry Daniel. Speaking of the ensemble, Robledo says, “They’re my ‘shock’ troops—they represent everything around the characters. They work in — hopefully — military precision. They don’t just move stuff on and off stage, they are the world. They are a carousel, a roller coaster, the streets of London, the lights on a pier…” Robledo employs them strategically, almost as pieces on a shuffleboard game. As for a further installment to complete the Watson franchise, Robledo is keeping his cards close to his chest. “I have an idea to do a third and final installment, but I can’t really discuss that until you see this play,” he smiles enigmatically. Listen to a preview of Ryan Johnson’s original score here. Watson and the Dark Art of Harry Houdini, Sacred Fools Theater, 660 N. Heliotrope Dr., LA 90004. Opens tonight. Fri-Sat 8 pm, Sun 2 pm. Through July 27. Tickets: $25. www.sacredfools.org. 310-281-8337. **All Watson and the Dark Art of Harry Houdini production photos by Jessica Sherman.